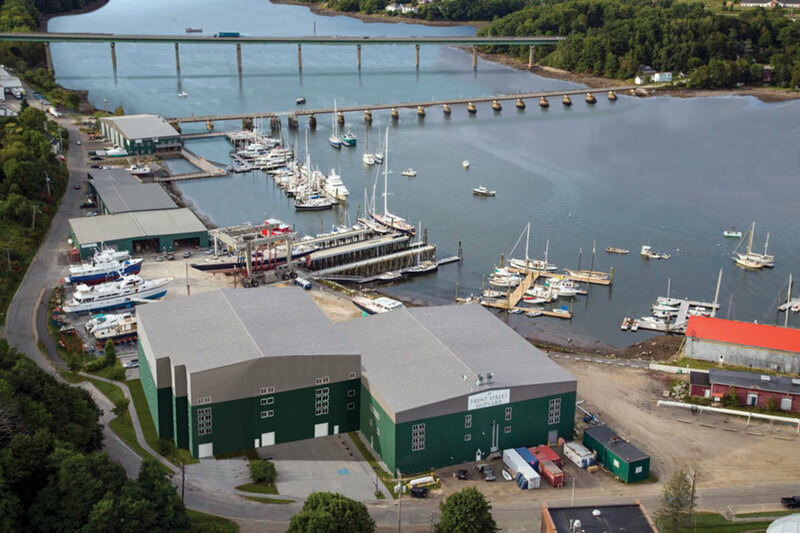 Front Street Shipyard has received a $667,028 grant from the U.S. Department of Transportation as part of the 2018 (MARAD) Small Shipyard Grants program. The Belfast, Maine-based yard said in a statement that it plans to use the funds towards the purchase of a Flow Mach 700 Waterjet Cutting Machine. The company said the new waterjet, the largest of its kind in Maine, will streamline the construction of custom and production vessels, while reducing costs and improving quality. Shipwrights will cut parts directly from electronic data drawn by engineers, reducing production time while also improving quality and accuracy. "With a machine of this size and capability we hope to attract diverse projects, including non-marine applications," said JB Turner, president of Front Street Shipyard, in a statement. The machine will be installed in the yard’s new 22,500-sq. ft. addition, currently under construction, adjacent to its existing yard. The new facility will allow Front Street to undertake large yacht refits and commercial vessel construction projects. The company says it will be able to add more workers when the new facility opens. It will also make “the shipyard the only U.S. company with these unique manufacturing capabilities," added Collins.